High capacity with a small footprint. This high capacity stand alone food and frozen machine that fits through a 32” doorway. The MPZ Combo features next generation air flow architecture allowing it to dispense refrigerated AND frozen foods from the same machine using a common delivery fall space. and frozen deserts at -15˚F from the bottom. Two machines in one. 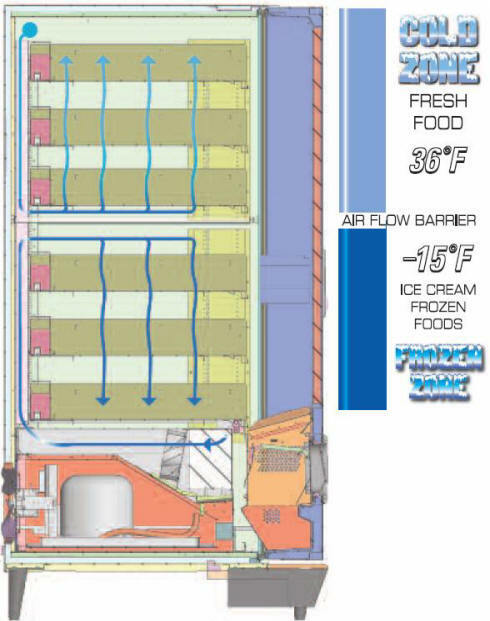 Refrigerated foods from the top ice cream and other frozen foods from the bottom. 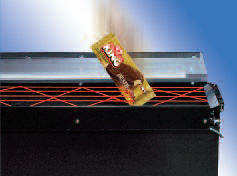 Keeps customers satisfied and reduces service calls for mis-loaded product. For a delivered price to your area, CLICK HERE.